TRANCEMAG//BR Interview Alessandra Roncone - Trance Mag Br // A revista do trance no Brasil. 1) Thank you for giving us this interview. When did you start listening to Trance Music, and how did you became a DJ & Producer? Hi, hello everyone!! The pleasure is mine. I did start on 2012 after I lost the father of my son. Trance music always helped me on life to feel better when I was down, so I felt that to focus on that to keep my mind away from sad thoughts it would have been very good and helpfull.. So to be concentrated to learn to play and to produce worked really a lot to feel good. 2) What most inspires you to make music? I take my inspiration listening a lot of music, trance mostly, but can really be anything. 3) You have a successful radio show called Forza, can you tell us more about the show? Can you tell us a bit of your daily routine in studio? wrinting new melodies, tracks, remix but also trying new and different techniques to continue to push my self to be better and to grow. Everyday we can learn something new and this is amazing because I never get tired to learn. 5) If you have to pick the trance song of your life what would it be? This is a very difficult question to me.. I love so many tracks.. I can say I have a track for any moment of my life… Buti f I have to choose, I would say “Children” By Robert Miles, because is the track that really made me discover trance music and to fell in love with it. 6) Being a female Trance DJ, do you think this can open the doors, close the doors, or it absolutely doesn’t matter? At first I thought it was not a difference, rather, because very few females I thought that we could have good credit producing and playing trance music, but I discovered its not. With a sad heart I can say I encountered bitterness, envy, bullshits and other not nice thinghs that go with a growth in this music industry, but I’ll take this in my stride and I use it as stronger motivation to show that women are not less than men. Maybe for what happened on the past, many ppl think women are not able to produce, but its not. If you have the passion inside and you really want to learn there is nothing that can stop this. I often feel more a man that a woman because I always loved technical and electronic stuff.. Avoiding all classic women stuffs. Certain comments hurts, but I dedicate all my days to learn and making music so im really proud to be where I am right now. 7) Can you tell us more about the friendship and musical collaboration between you and Darren Porter. How did this partnership and friendship started? He was one of the first not italian trance dj I met on 2012, my boyfriend booked him for a party and we discovered after it was his first gig. So during the party we met him again and because he was my preferred producer on 2015 I asked in joking way If he could teach me how to make sound my tracks better. And even if I was hoping for a yes, I thought it could be impossible, but I had the big surprise he said he would have teach me the technical thinghs that I was missing, telling me It was his way to say thank you for his first booking. Then of course our friendship bonded on the months. 8) Many of your songs were in the Beatport top 50. The latest one was “Darren Porter & Alessandra Roncone – Transcendence” reaching the first place of the chart for some weeks. Can you tell us more about this amazing collaboration and song? Yes Im very happy for the results.. I got Sogno at n.2, “Four Our Angels” at n. 7, “Luce” my collaboration with the Legend “Talla “XLC at n.4, and “The Hymn” my collaboration with Allen Watts at n.11. So very good results that I can be proud of it but I always feel to say thanks for all the ppl and fans that support me and my tracks. About the collaboration on Transcendence I remember I was listening him to play random the piano, and I heard a very beautiful melody to me, and I said to him he should make a trance track with that melody. I remember he looked at me on a weird and funny face and he said “Nooo it’s too cheesy”. Then I insisted telling that it was not.. that it was very trance, and beautiful and his answer was: “you know what? We can do a collaboration, I think you are ready for this” and I was very out of the moon for that because I could put my ideas with his ideas, and I think we did something very different and fresh. 9) “Alessandra Roncone – For our Angels” is one of the most beautiful productions of 2017 and it was released on FSOE Recordings. Why the title “For our Angels” and what inspired you to produce such a beautiful Trance song? 10) You have collaborated also with, Talla 2XLC, Allen Watts, Darren Porter, Mark.L, Ciro Visone to name a few artists. Can we expect more collaborations in 2018? Yes surely I’ll do some new collaborations even if I’ll concentrate my self mostly on Originals or maybe some Classic Remix. 11) You have been releasing so many great stuff along the years. Most of your tracks on FSOE Recordings but also on WAO138? !, Extrema Global Music, etc to name a few. From all your productions whats your favorite track released and why? I can say I still like all my tracks, the track that have been the best impact is Sogno, and I love it a lot, and I also love my collaboration with Darren Porter, but for the reasons I said on question 9 my preferred is “Four Our Angels”. 12) What was your most iconic gig last years and why? I really enjoyed to play in any gig, trance lovers are always amazing and they always left something special in my heart. But If I have to choose which moved me more it was during FSOE night at Panama in Amsterdam. I was closing the party, stage was still full, I had many friends there and I seen some of them to cry, I played almost all time with goosebump and chills for what they were transmitting to me. It has been really amazing. 14) Except Trance what do you like to listen in electronic music or any other genre? I like every genre that has good melodies.. as I said can be anything.. Pop music, rock, progressive, chillout, but I like a lot also hardstyle that reamind me a lot the old hard trance. 15) Which is the most important thing when you produce a trance track? I love the melodies, I think that melodies are the most important elements on trance, but I also love the groove and the bagging styles so I like to mix this, but when I produce I let that the music guide me and I get inspiration from the sounds that I add step by step. I never start with a idea.. I just descover it doing it. Im really looking forward to play there. 17) You have thousands of fans in Brazil. They love you so much. Can you leave a message to them? I didnt know to have thousand fans in Brasil.. Very happy to know it! “Hi Brasil!! I hope you enjoyed my interview and I really hope to come there to play for you guys soon!! Thanks for the support! 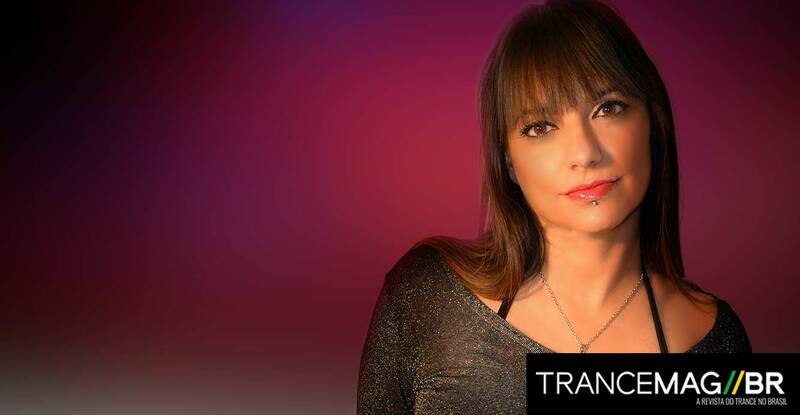 !” And thank you Mauro to have me on Trancemag//Br with this beautiful Interview.